We are very proud to be a part of a new movement in East London. As you can see a new organisation has been formed to support independent local East London businesses. We are pleased to be a founding member of the group and look forward to supporting other local businesses. This is something we have been doing for years now but its officially recognised with a special newly created day in the annual calendar. EastEnd Independents Day will be celebrated on 3rd December this year all around the area. Our doors will be open to the local community and we hope this is the start of something that gets bigger each year. We believe we are 'stronger together' with other businesses also supporting us. We have leaflets in branch so if you would like to find out more pop in and ask one of our staff. .
As you probably know East London is full of diverse characters and business that has allowed the area to thrive in the past 20 years. If you are available pop in and show your support. 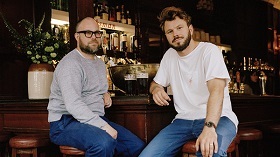 Mr Harris - who previously worked at One Leicester Square - and Mr Rotheram - formerly a chef at Jamie Oliver's 15 - refurbished the pub after taking over ownership in 2015. They were praised for their menus which included such delights as devilled mussels on toast, skate with shrimps and turnip tops, and pheasant and trotter pie. Will this news mean house prices in the area will increase as the demand to live close to the pub of the year increases? Maybe not but those that do live close by area will more than likely pass on this wonderful story of their 'local' being voted the best boozer5. The guide's editor, Rebecca Burr, said: "The Marksman cleverly combines a place to drink with new era pub food.